How to Clean Gold Jewelry and Costume Jewelry? Costume jewelry needs minimal care, but valuable pieces should be cleaned often. 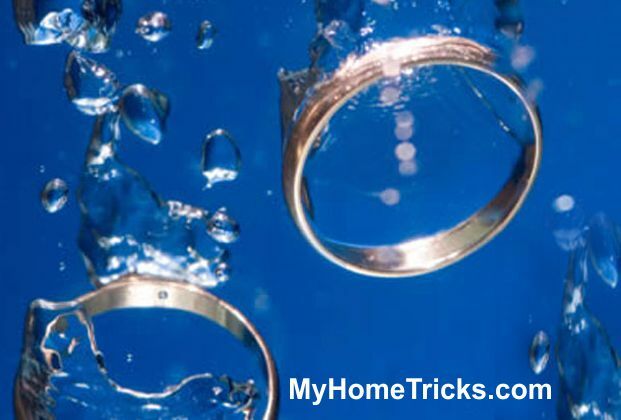 Do not wear rings with stones during house cleaning, since you could cause damage to the settings. Checking jewelry: Check jewelry each time you wear it for any damaged links and faulty clasps. Have rings checked by a jeweler a few times a year for loose stones. Chains: Fasten chains when you are not wearing them to prevent knotting. Do not wear gold chains when you go swimming the chlorine in pools makes gold brittle. Soak jewelry in a solution of dish-washing liquid in a bowl for a few minutes – do not use a sink. Brush items gently with a toothbrush. Rinse the jewellery and lay it on a dish towel. Dry it with a hair dryer on a low setting. Check the water for stones before you discard it. Costume Jewelry Cleaning: Cover costume jewelry with baking powder, then brush off gently with a soft toothbrush. Ring holder: Keep a large safety pin near your kitchen sink at all times, and use it to attach rings to your clothes when you wash dishes. This will prevent rings from getting damaged or being misplaced. Fragile stones: Amber, coral, and jet are fragile stones. Wash using the method above. Do not use chemicals on them. Emeralds: These are soft and chip easily, allowing water into cracks. It is best to have them cleaned by a professional jeweler. Opals and turquoise: These are porous stones, so they should not be washed. Shine them with a chamois leather. Brush settings with a toothbrush. Hard stones: Clean rubies, diamonds, and other hard stones as above, or use a special jewelry solution. Jade: This should be washed, then dried immediately. 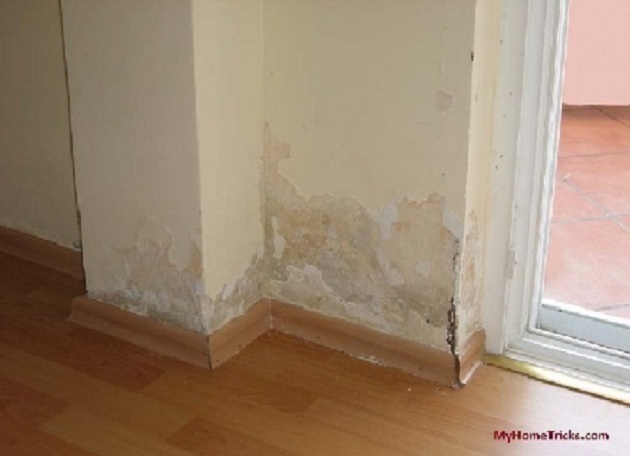 Use a soft cloth – any abrasive surface or grit will scratch it. Pearls: The best way to keep these stones clean is to wear them. If you wear yours only infrequently, rub them gently with a chamois leather occasionally. Have a safety chain added to valuable brooches to back up the clasp. Wrap gold items in tissue and store in separate boxes to avoid scratching them. If a gold or silver ring is causing skin discoloration, coat it with clear nail polish it will not damage the metal. Place the beads in the correct order along a crease on a piece of paper. Restring using fishing line it is extremely strong. Lay a knotted chain on a piece of wax paper, and put a drop of baby oil on the knot. Untangle with a pair of needles. Necklaces: Prevent necklaces from tangling by hanging them from cup hooks screwed into a wooden clothes hanger. Costume jewelry: Use egg cartons to store jewelry – the bottom for small items, the lid for necklaces and bracelets. Using soap: Loosen a stuck ring by wetting your hands and rubbing soap lather above and below the ring until the ring slides off. Using ice: if a ring is stuck because your finger has swollen in hot weather, put your hand in a bowl of ice water. Soak your hand until the ring can be slipped off. Objects such as combs, fountain pens, and handbags need regular attention to keep them in good condition. Clean canvas bags with household detergent, then rinse well. Rub leather bags with neutral shoe polish. Handbags: To prevent metal handbag frames and clasps from tarnishing, paint them with two coats of clear nail polish before use. If a handbag handle breaks, replace it with chandelier chain from a hardware store. Combs: Wash combs in cold water with a few drops of ammonia or 2 tsp (10 g) baking soda-stuffed toys To clean non-washable stuffed toys, shake in a plastic bag that contains baking soda. Brush well, preferably outdoors. Playing Cards – Cleaning off marks: Rub playing cards with crustless white bread to remove dirt and grease. Dust with talcum powder occasionally to keep them free from grease and grime. Cleaning a fountain pen: Occasionally, take fountain pens apart and soak the pieces in vinegar. Let stand for an hour, then rinse them in warm water, and let dry on a paper towel. Tip: If you want to know more about “Cleaning Gold Jewelry”, it may be useful to click on the “tags” below. Note: For this article, "how to clean jewelry with talcum powder, how to clean leather jewelry" term(s) have been used in searchs. How To Keep Warm and Keep Cool At Home? Small Appliances Repair Cleaning How To Deal With Rust Marks? Cleaning Metals – How To Clean Rust Off Metal Objects 10 Easy Ways For Jewelry Cleaning At Home Tips to reduce humidity in house 7 Ways To Use Coffee Grounds How to Clean Your House Fast?